Produced and circulated by the Montreal Museum of Fine Arts in collaboration with the Musée Rodin, Paris,this is the biggest exhibition devoted to Rodin ever presented in Canada. 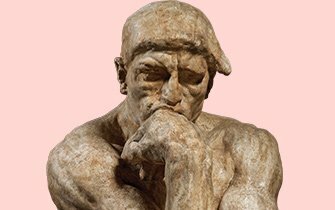 With a total of 300 works, it features special loans from the Musée Rodin, such as the monumental plasters The Thinker, The Walking Man, Eve and Meditation, as well as a number of splendid vessels and “flowers” that are being presented in North America for the first time. The show includes 171 sculptures, sketches, watercolours, as well as a selection of prints from the recently acquired collection of seventy photographs by Eugène Druet, a photographer who worked closely with Rodin.